His Holiness Abune Paulos, Patriarch of the Ethiopian Orthodox Church, appears to have suffered a heart attack yesterday and was admitted to Balcha Hospital in Addis Ababa, where he is reported to have died this morning (16 August), aged 76. He had served as Patriarch since 1992. 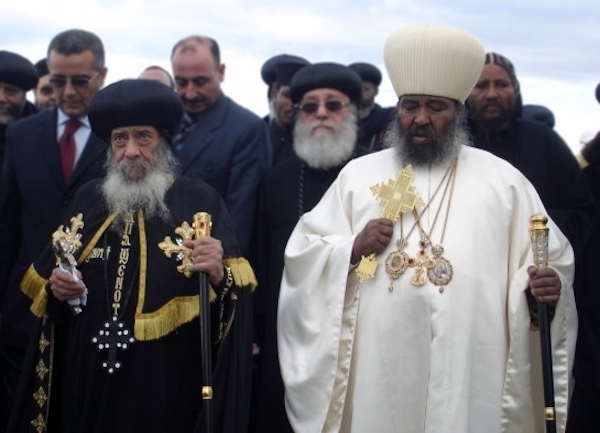 Abune Paulos was in Cairo in March for the funeral of His Holiness Pope Shenouda III, where he delivered a dignified eulogy. Only recently, on 16 July, he met with President Mohamed Mursi during the African Union (AU) leaders’ meeting in Addis Ababa. Abba Seraphim announced that he had sent condolences to His Eminence Archbishop Antonios, the head of the Ethiopian Orthodox Church in Great Britain, assuring him of the prayers of the British Orthodox clergy and faithful in their loss.